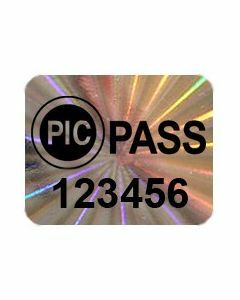 PICpatch Security Labels, are tamper evident labels. They are affixed to a camera phone's lens to prevent photos of secure data. Totally removing, partially removing or even peeling the edges of the label will produce a visual indicator that makes it easy for your security team to quickly identify. Each PICpatch label is sequentially numbered and software is provided to track each codes distribution throughout your organization. Choose from one of the standard labels, or get creative, we can custom make nearly any shape and size.